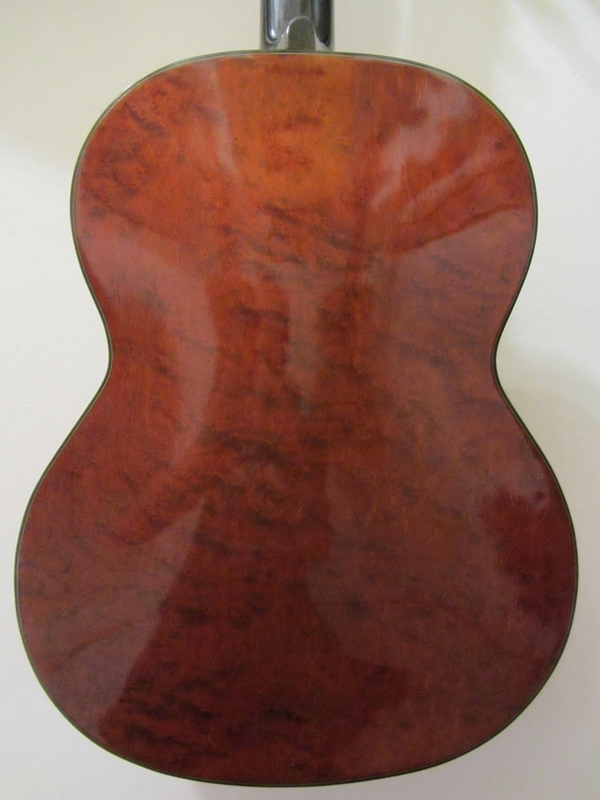 Here you can find some guitars that are for sale, mostly special builds, exhibition models, historic guitars (from a customer or a museum), second hand guitars and from time to time second rate models out of our own production line. 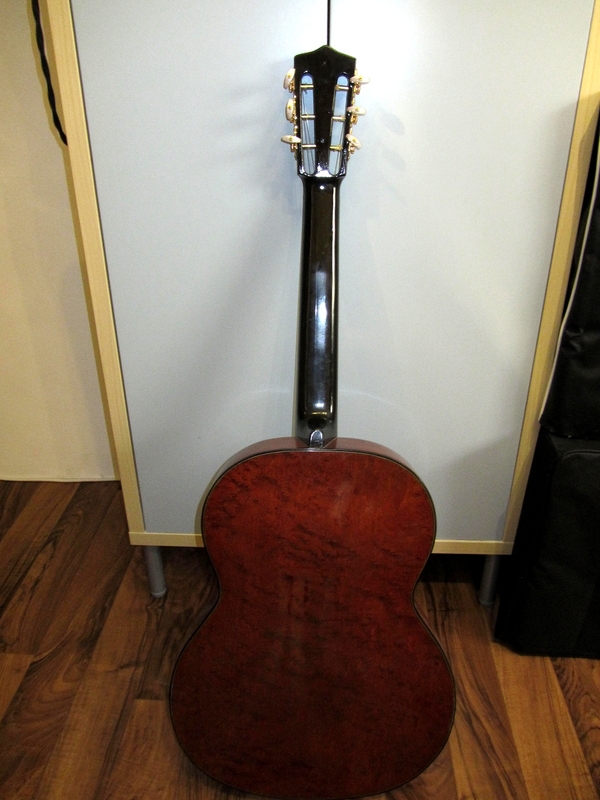 If you are interested in a guitar or if you want to sell one, please send us a message. 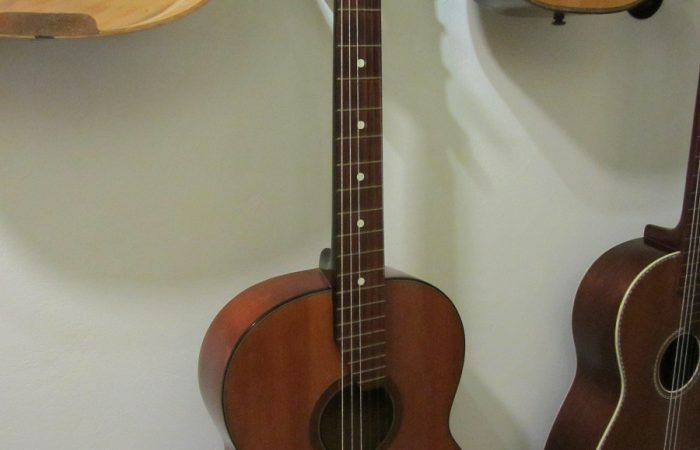 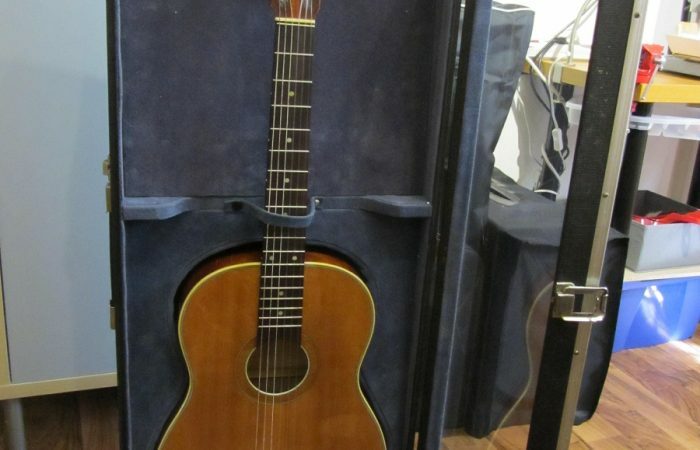 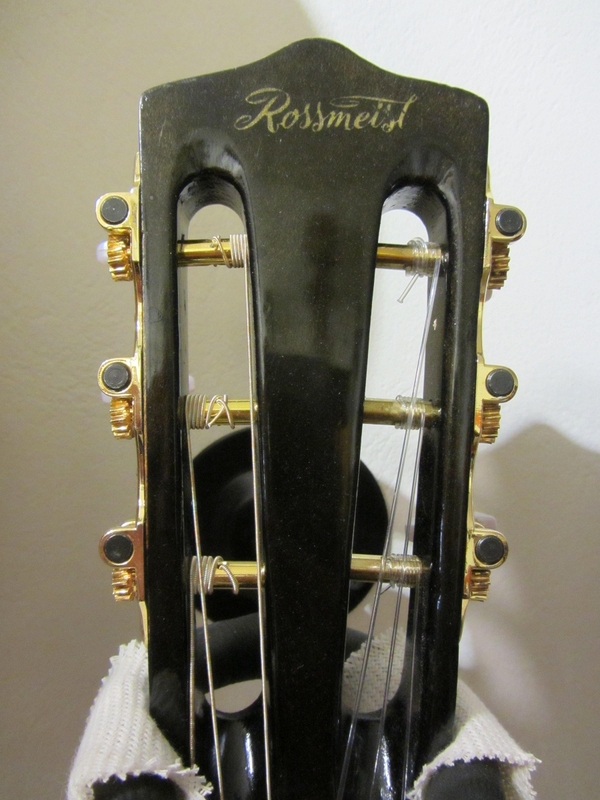 Here we have an all solid vintage Rossmeisl classic guitar that is completely restored and a pleasure to play, the playability is outstanding for a classic guitar and it sounds very loud and clear. 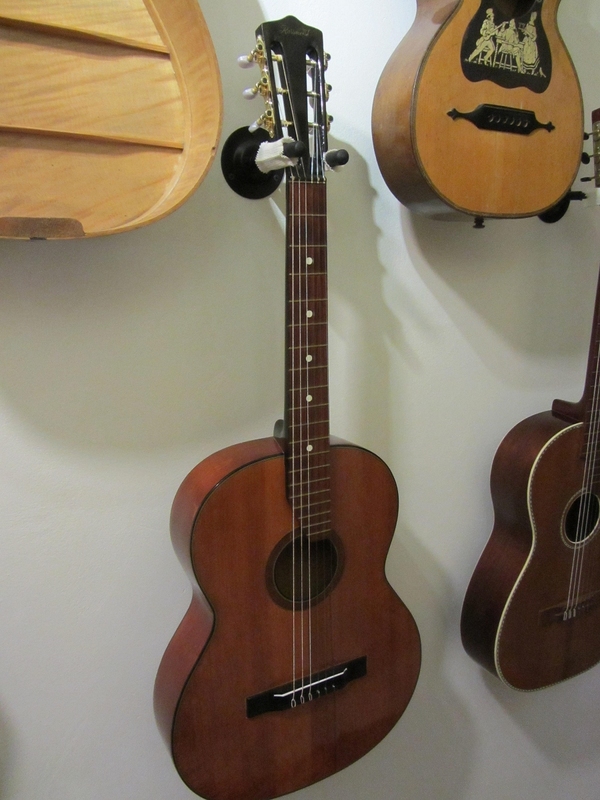 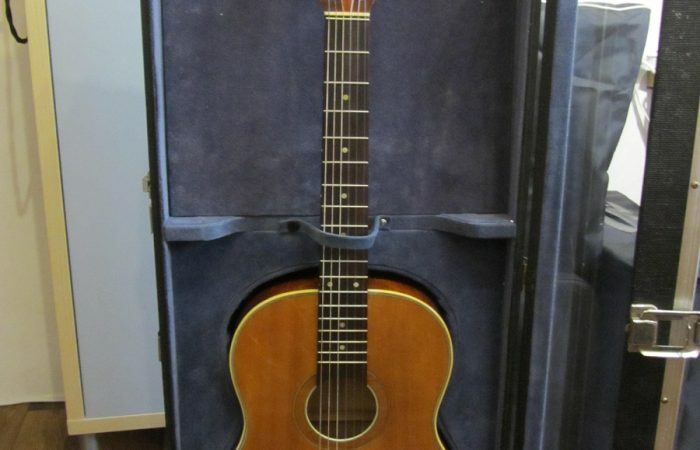 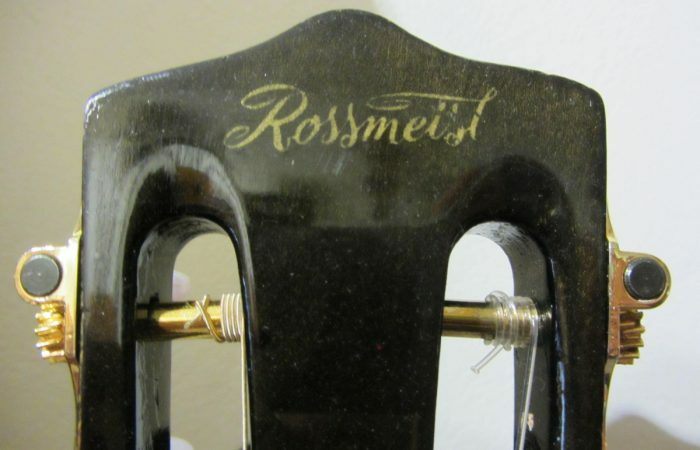 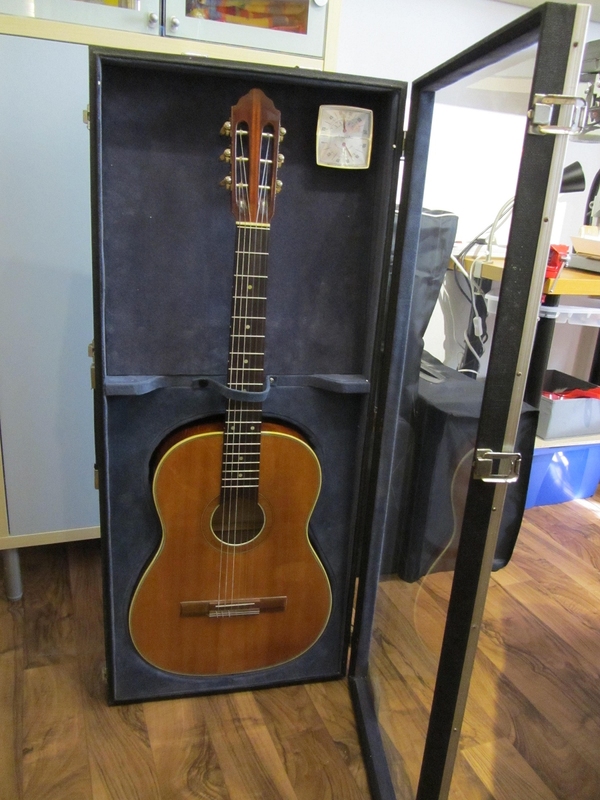 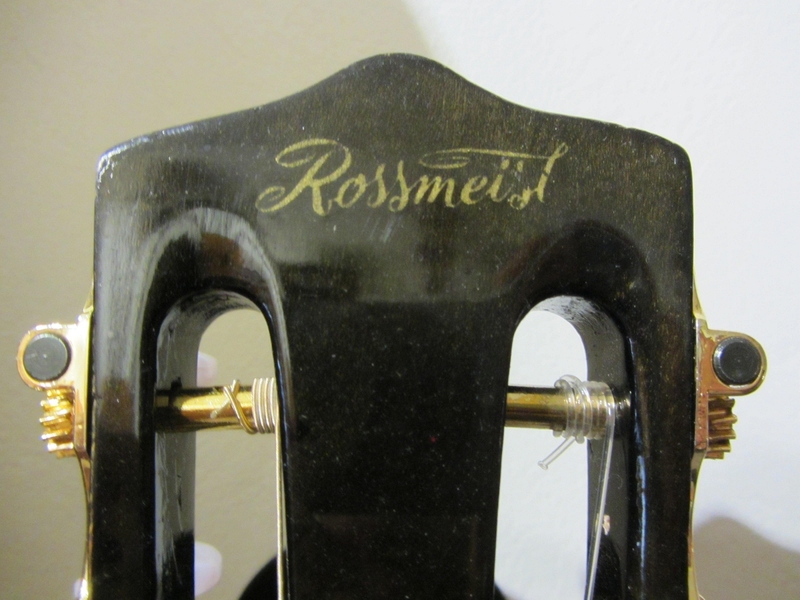 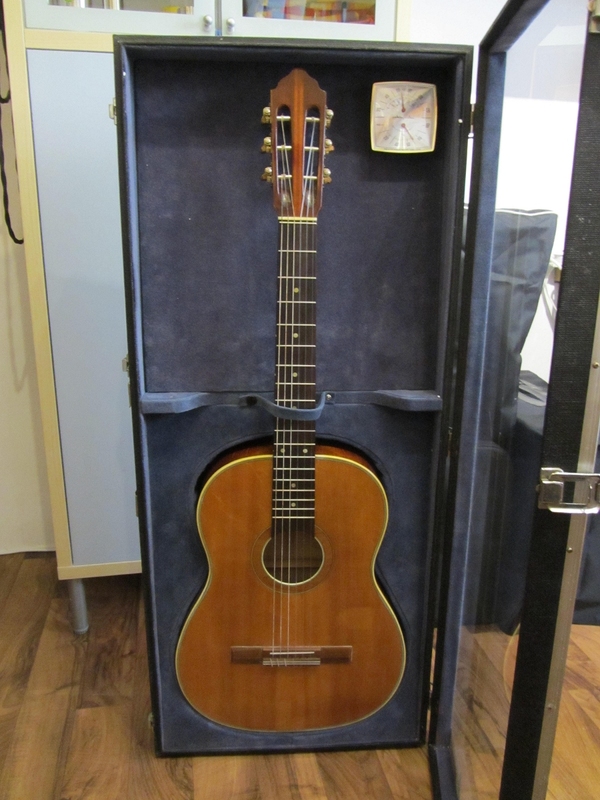 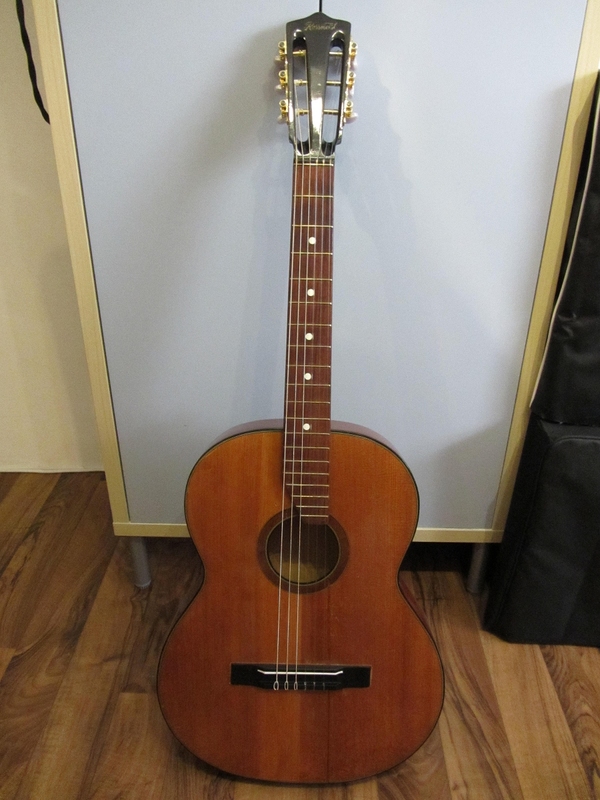 The guitar was build in the 60´s by the Rossmeisl (ROGER) company in Germany. 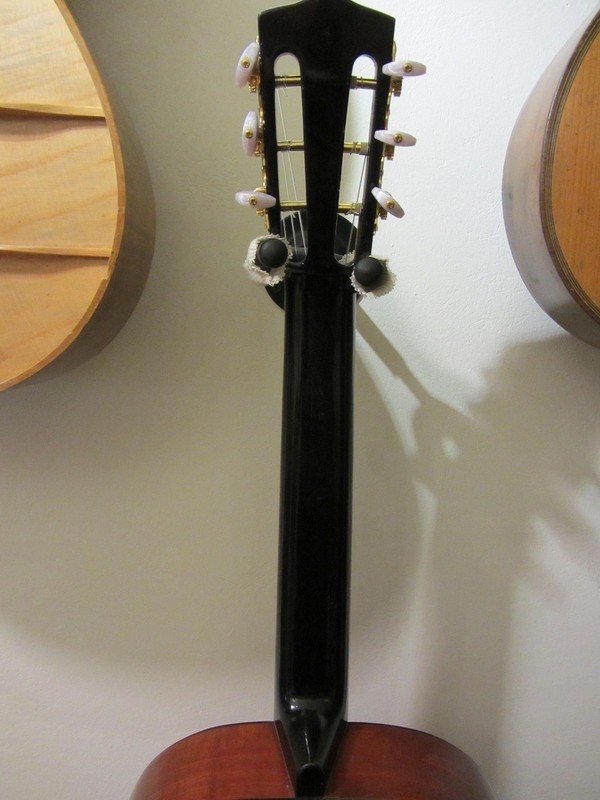 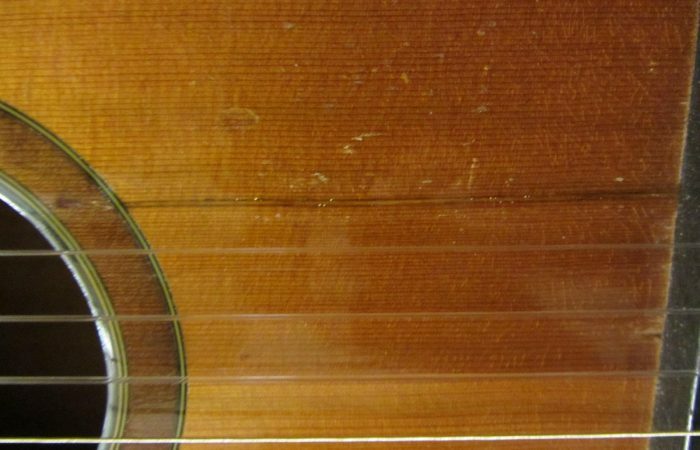 It has the so-called “big Spanish shape” and a black colored neck which is common on the Viennese models so this is a nice mixture indeed. 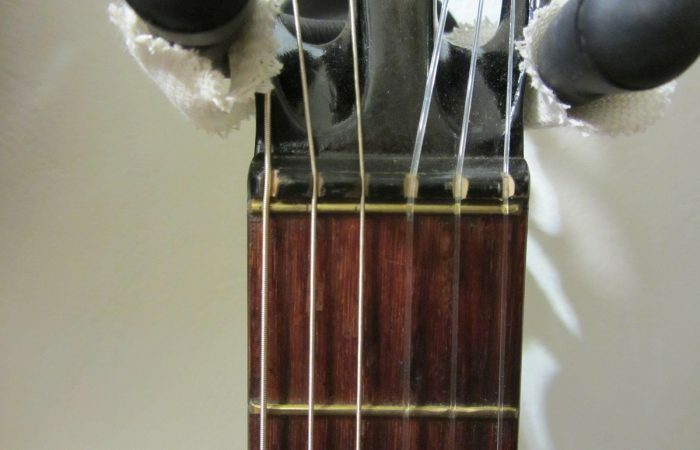 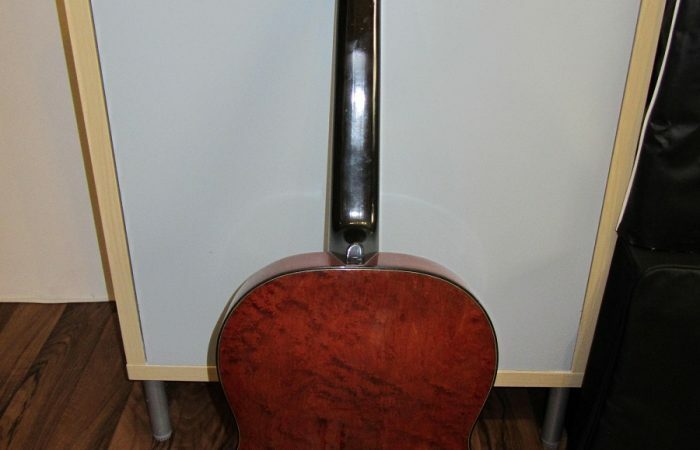 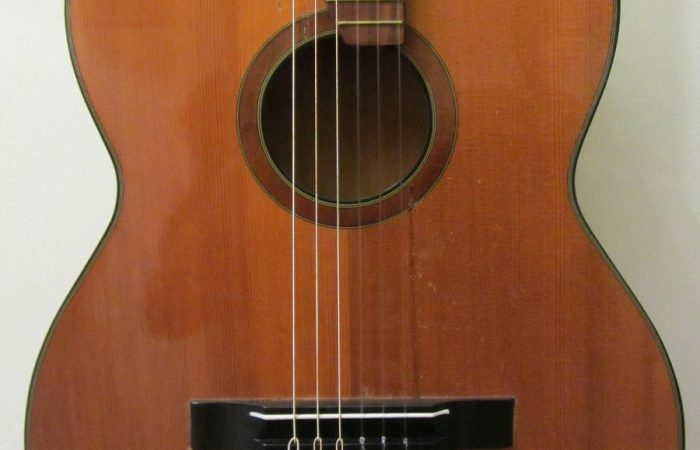 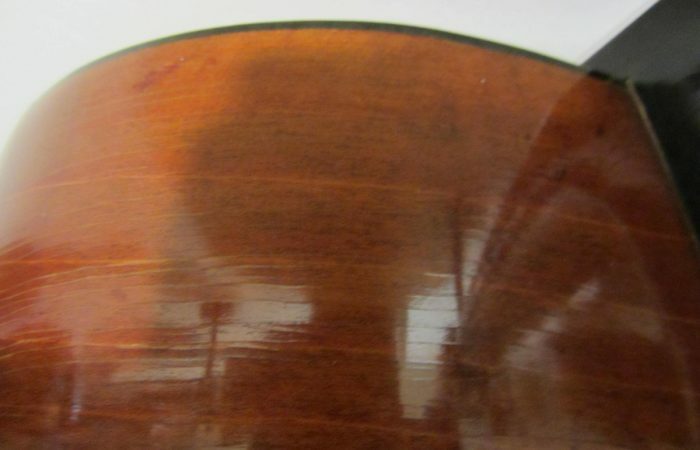 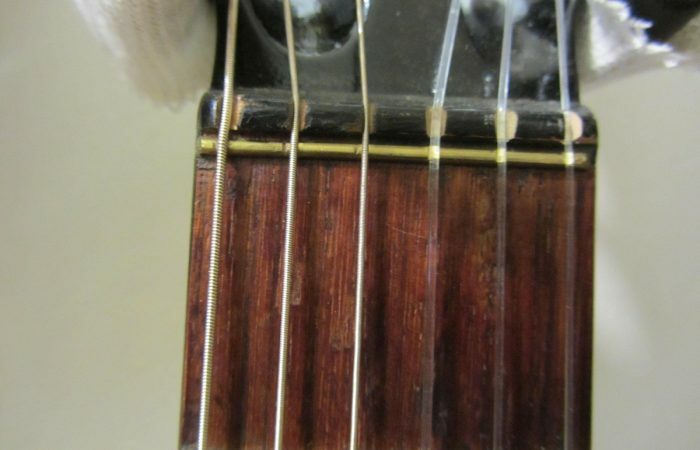 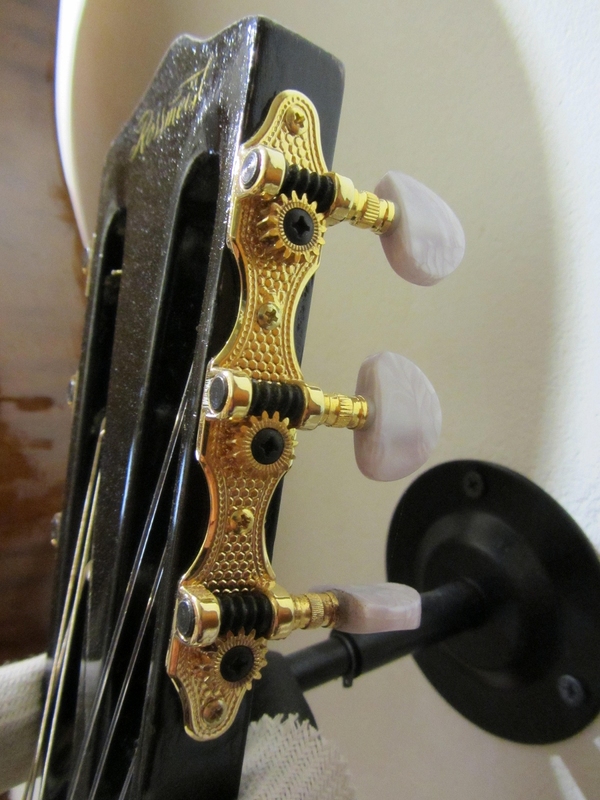 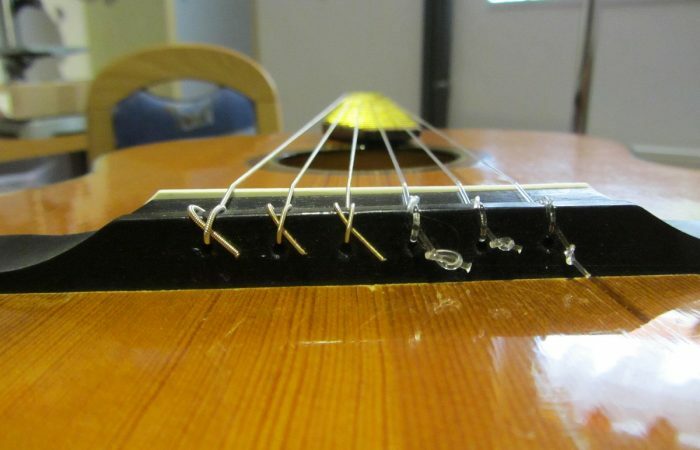 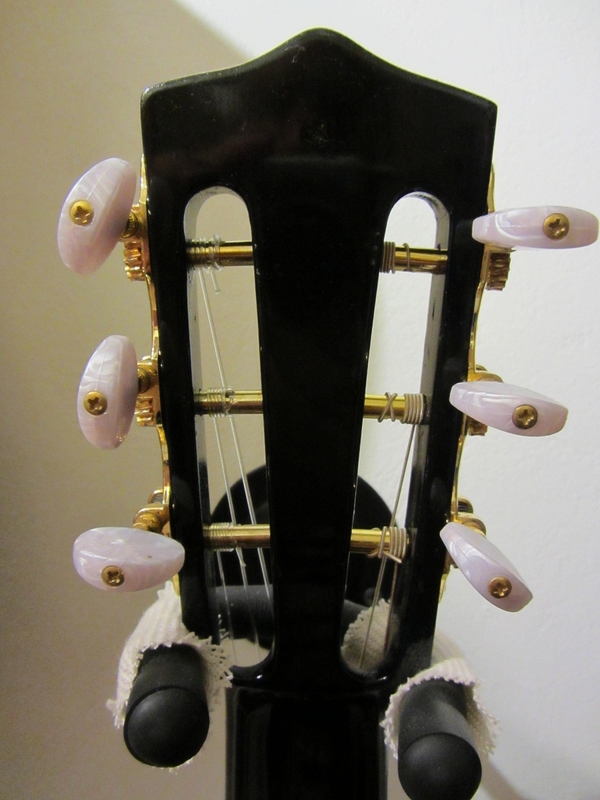 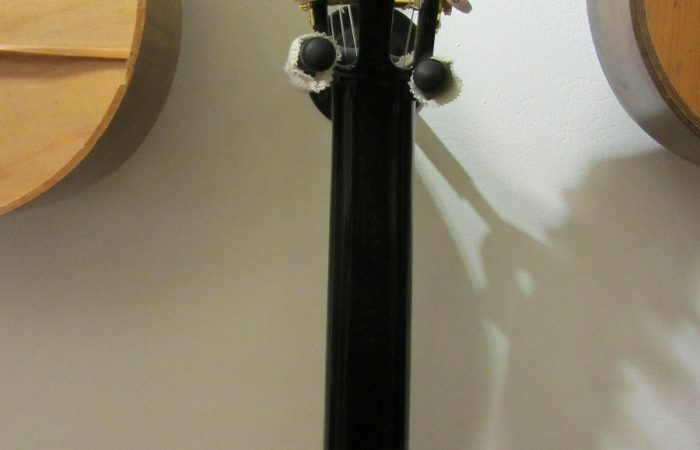 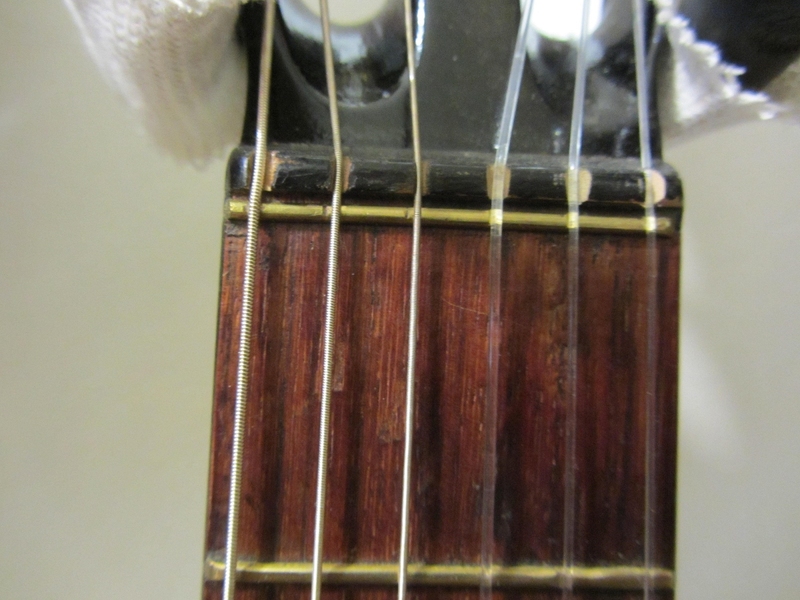 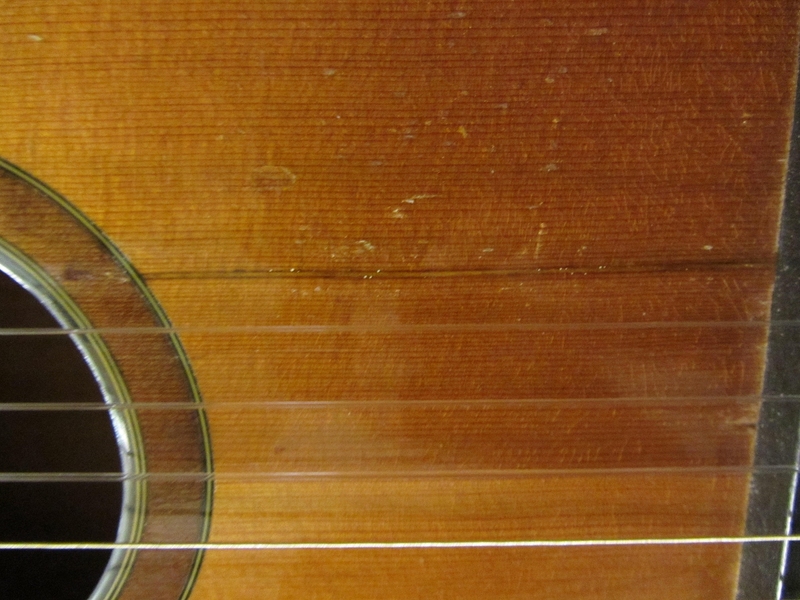 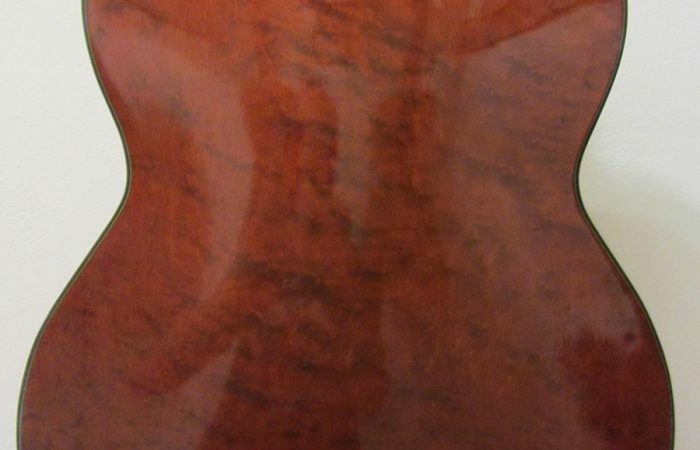 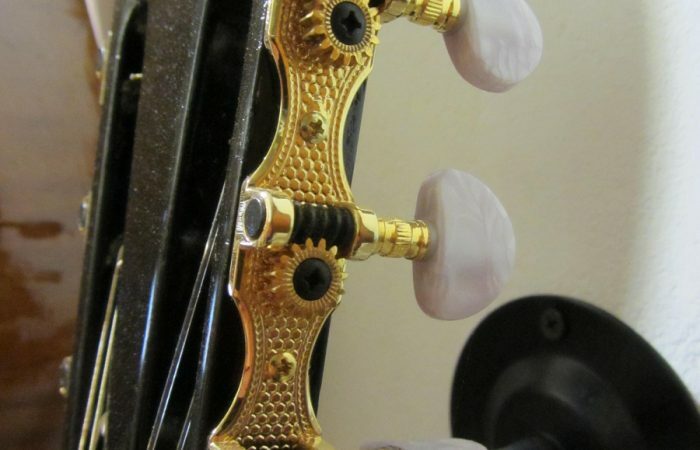 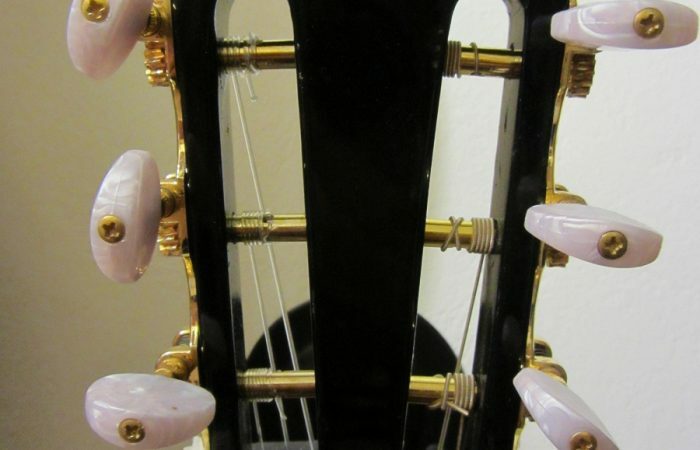 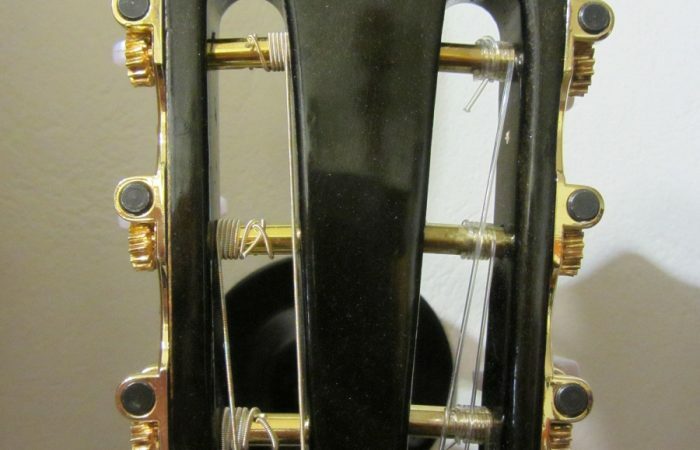 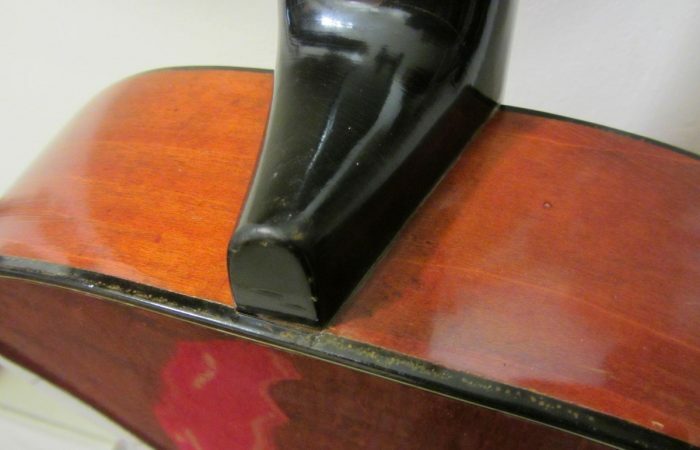 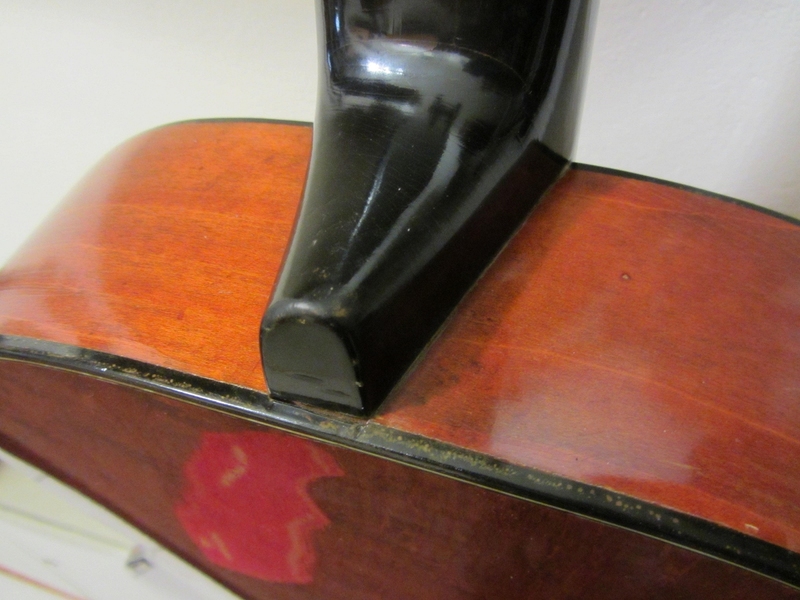 The original tuners were replaced by new deluxe models that look very similar because they were completely worn out – besides this the guitar is in all original condition. 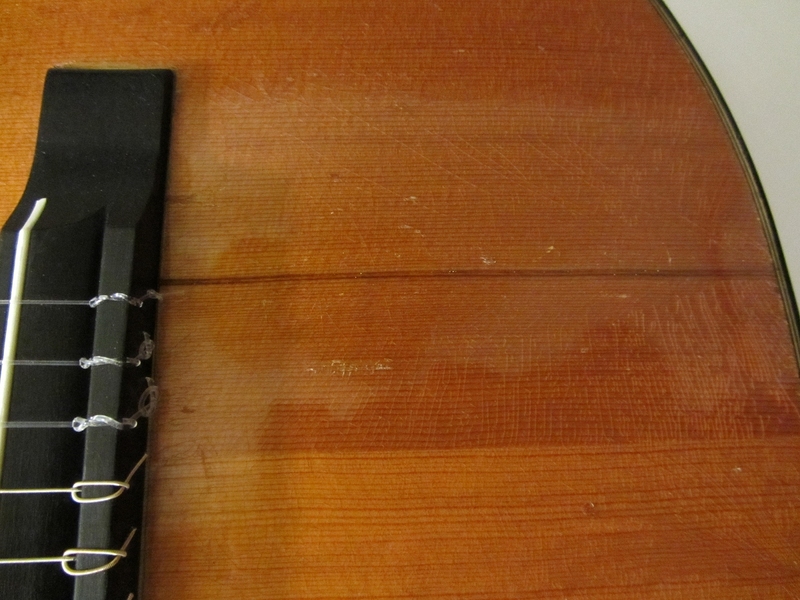 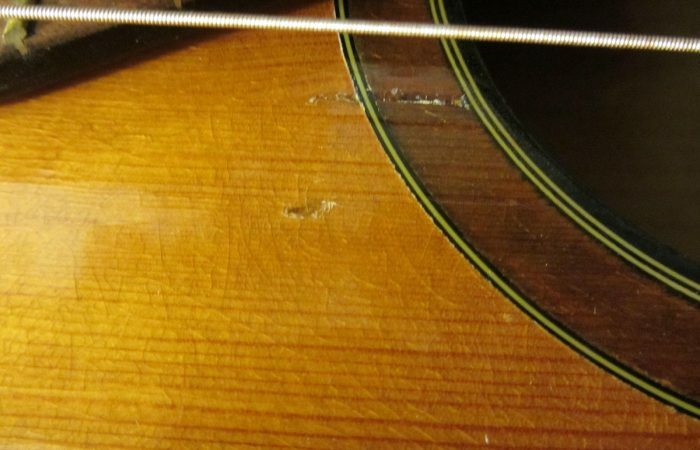 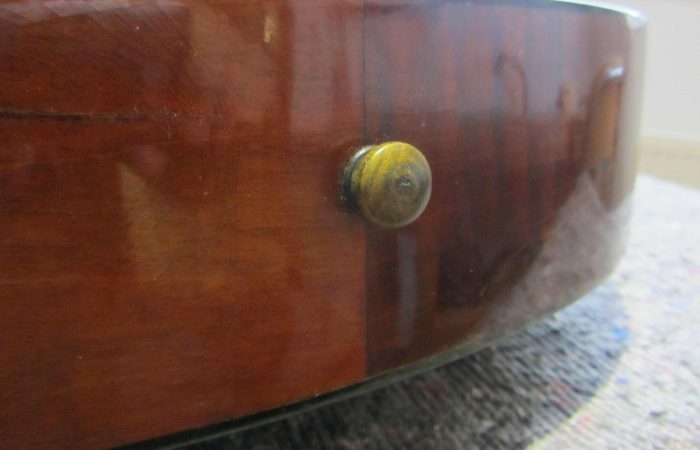 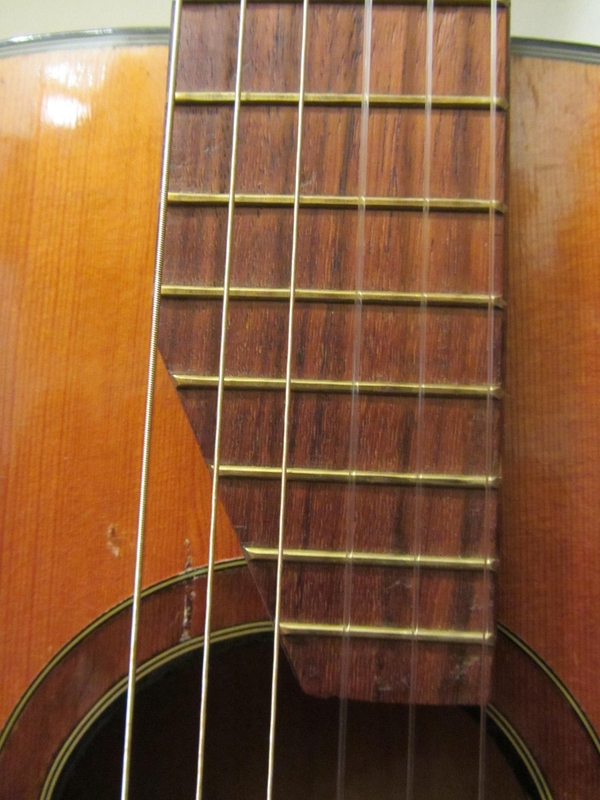 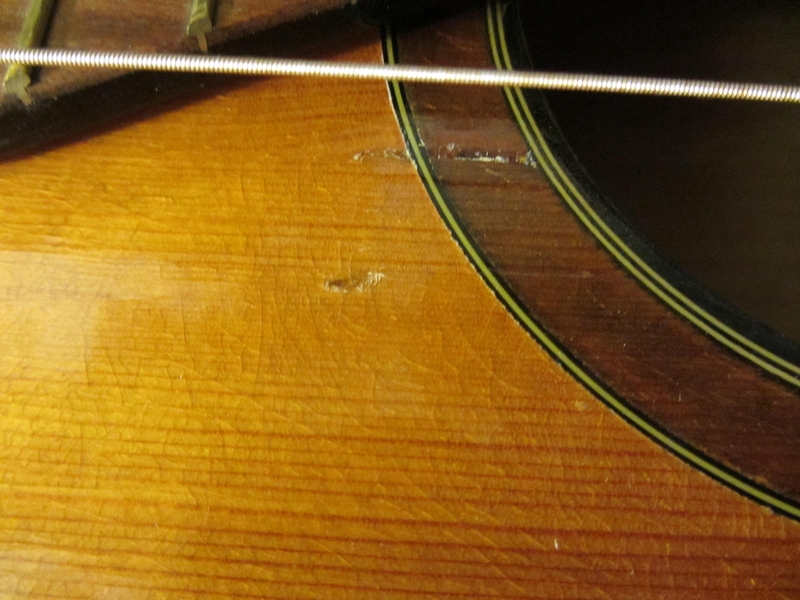 A crack in the soundboard was professionally closed and masked, please see pics for details. 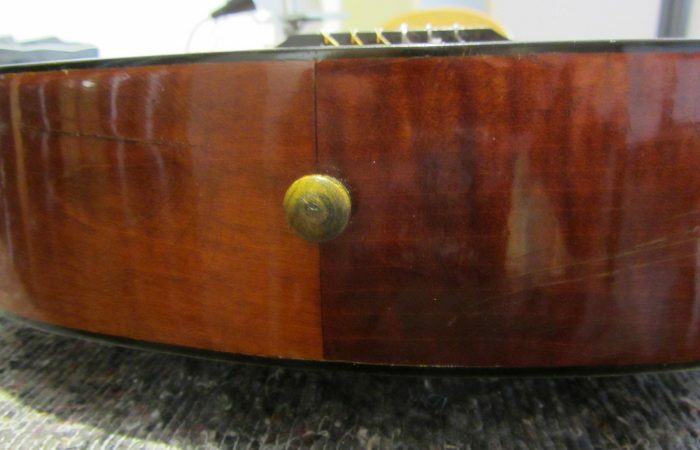 The top is spruce, sides are maple and the back is out of breath-taking quilted maple that is stained red just like the sides. 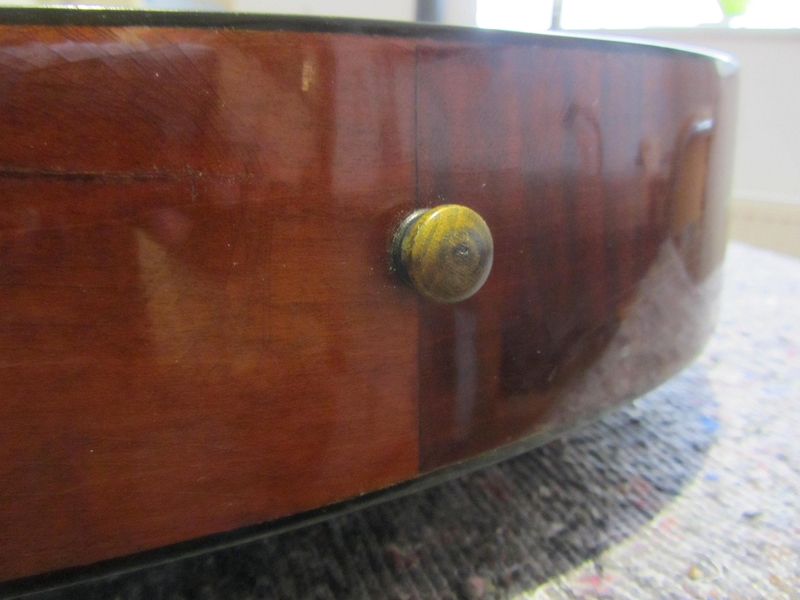 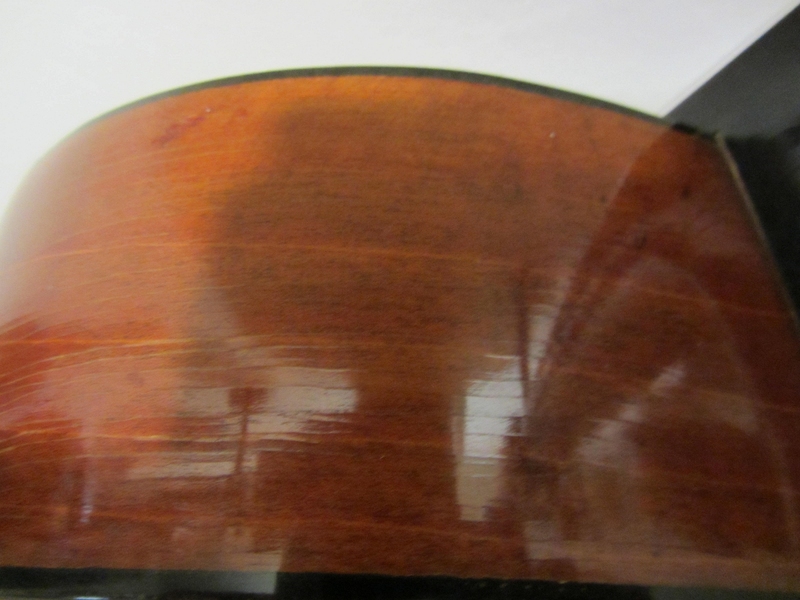 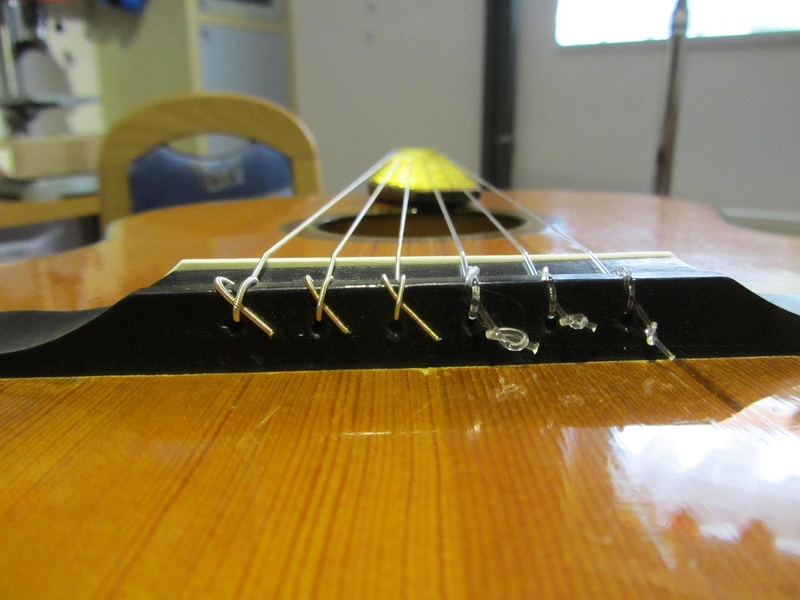 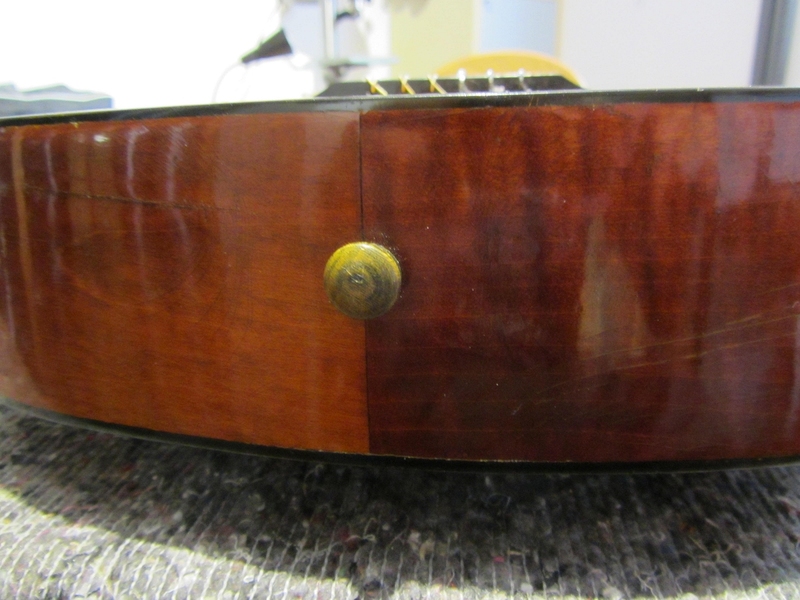 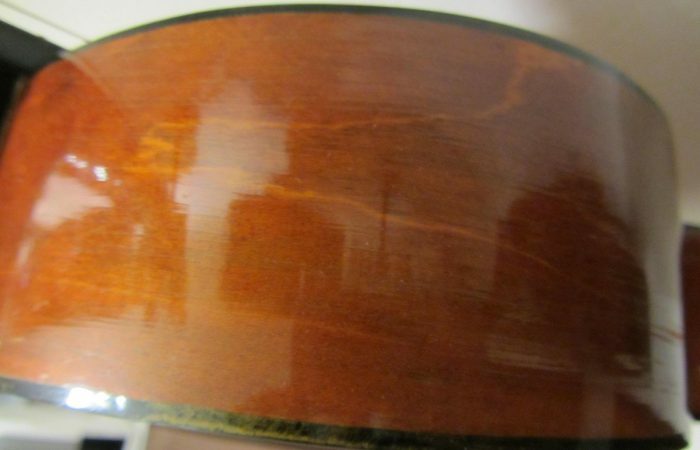 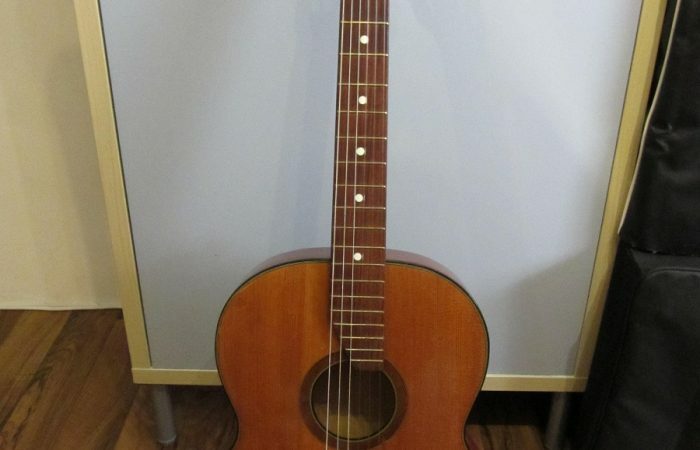 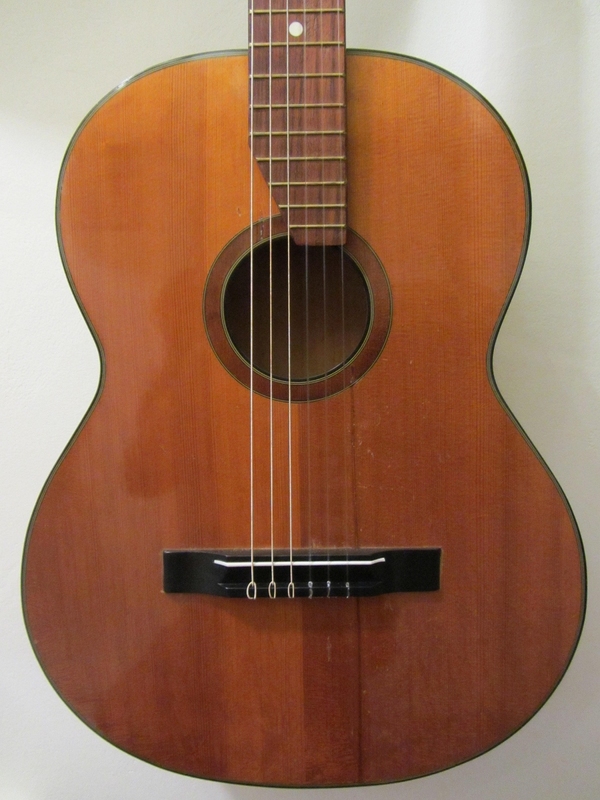 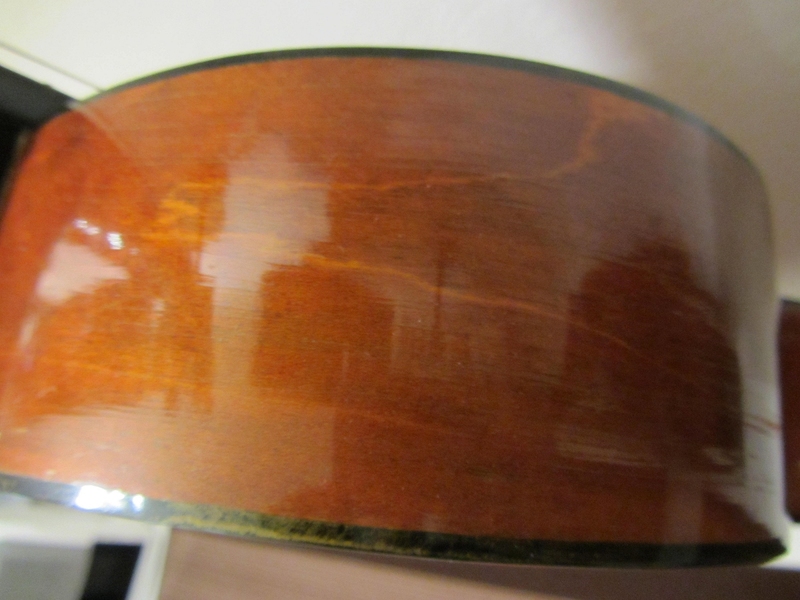 The guitar had many scratches but is fully restored now so it looks vintage but very groomed. 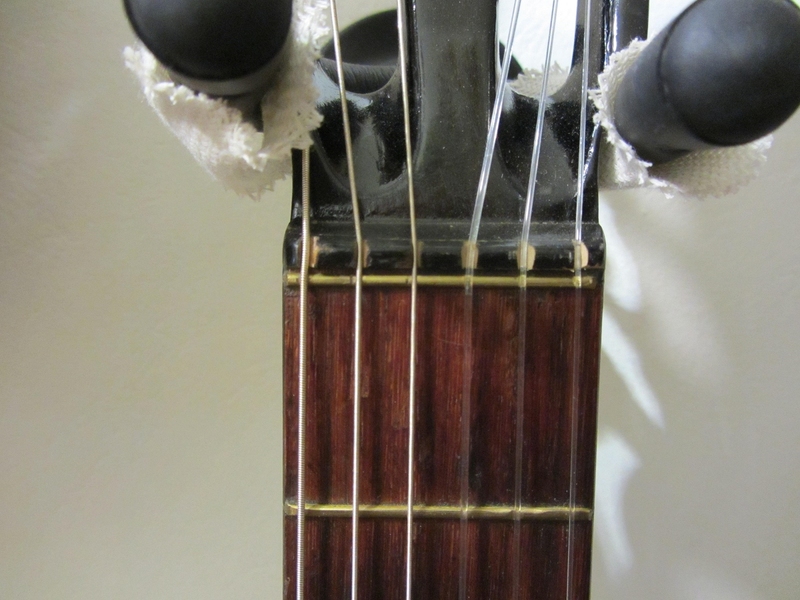 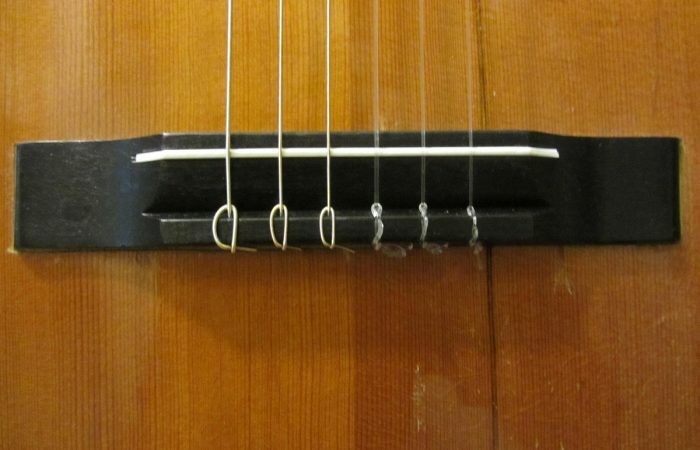 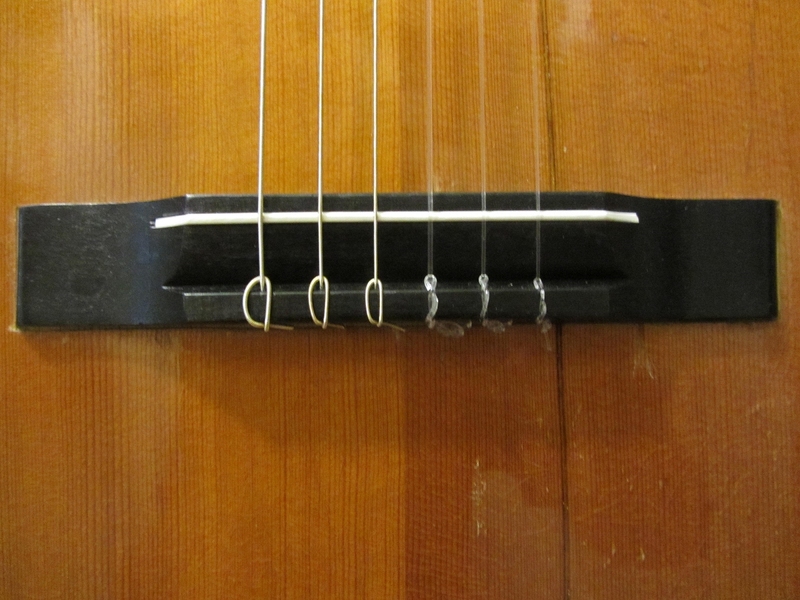 The bridge is ebony with the saddle out of original celluloid, the nut in front of the zero-fret is black died maple. 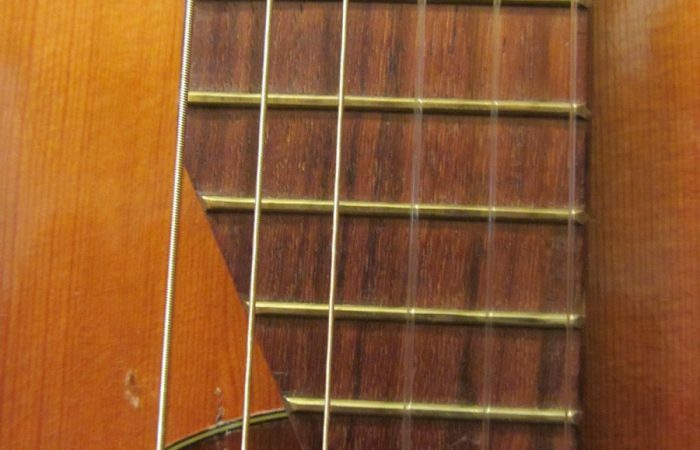 After reworking the original frets it plays like butter and has a low action, it is set up with high-quality nylon strings. 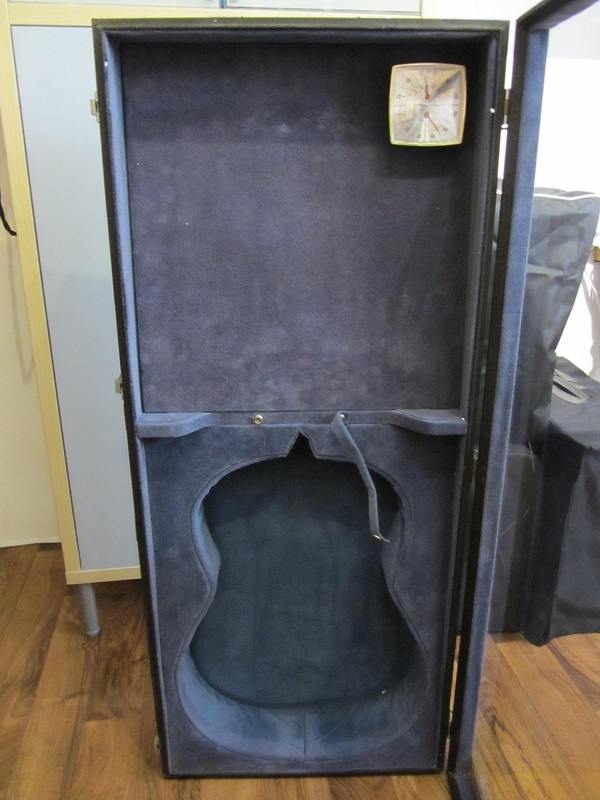 Used See-Trough showcase from the early 70´s for a classic guitar, inside padded and outlaid with a grey, felt-like material that looks very noble and elegant. 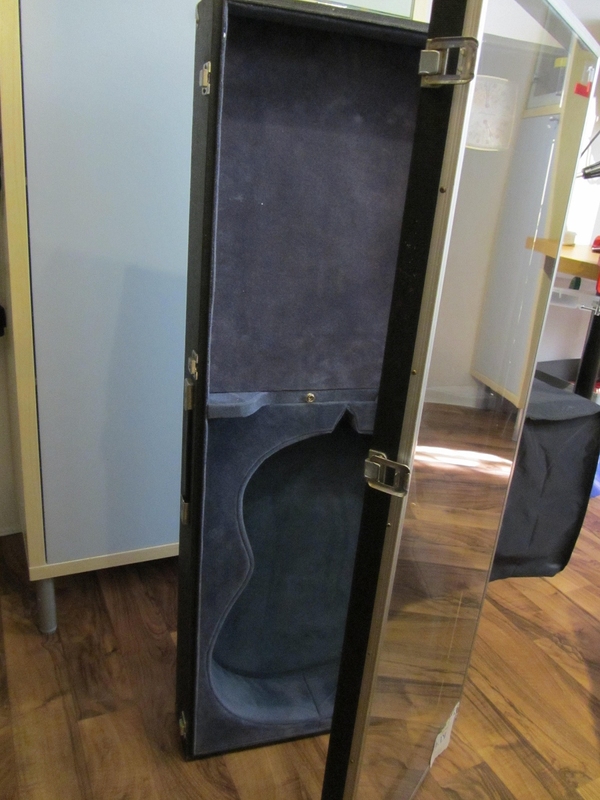 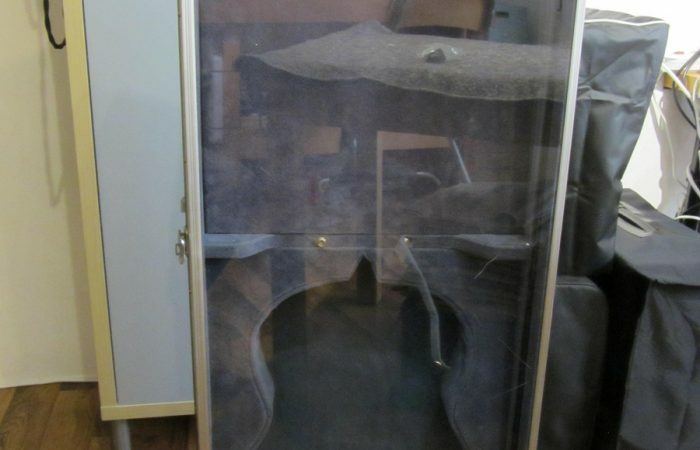 A combined hygrometer/thermometer is installed inside the case and works as intended. 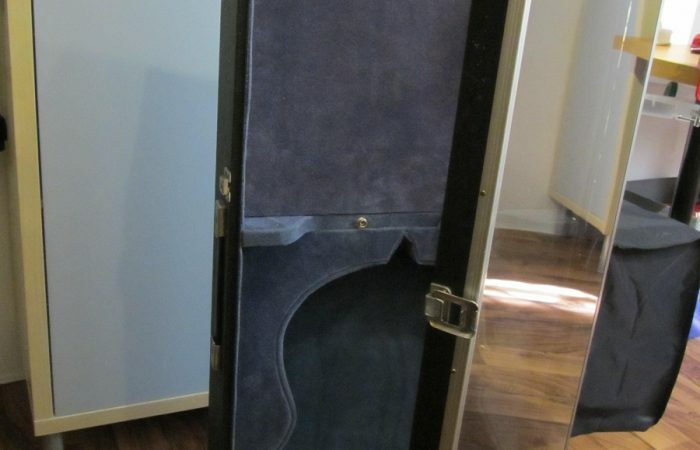 Very rigid, can also be used as a reliable transportation case. 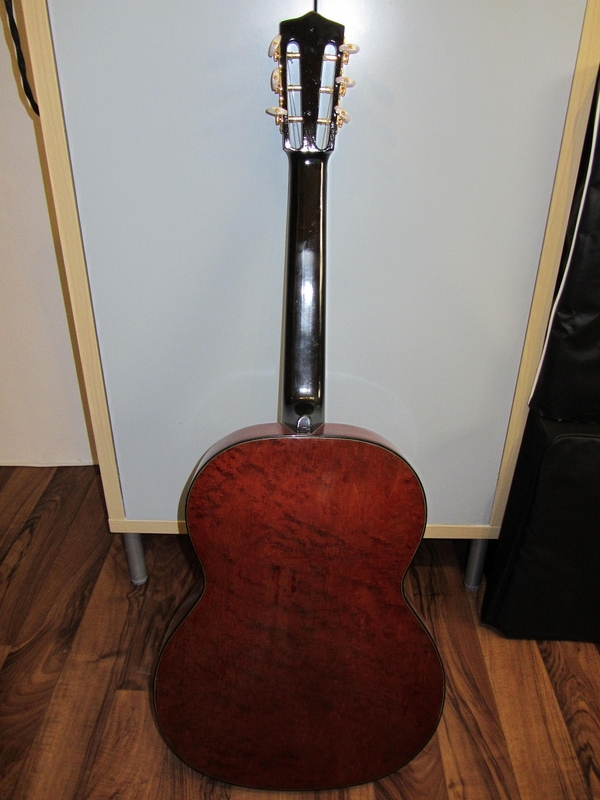 The guitar is locked and secured inside and is protected by very thick foam so it can withstand heavy abuse of all kinds. 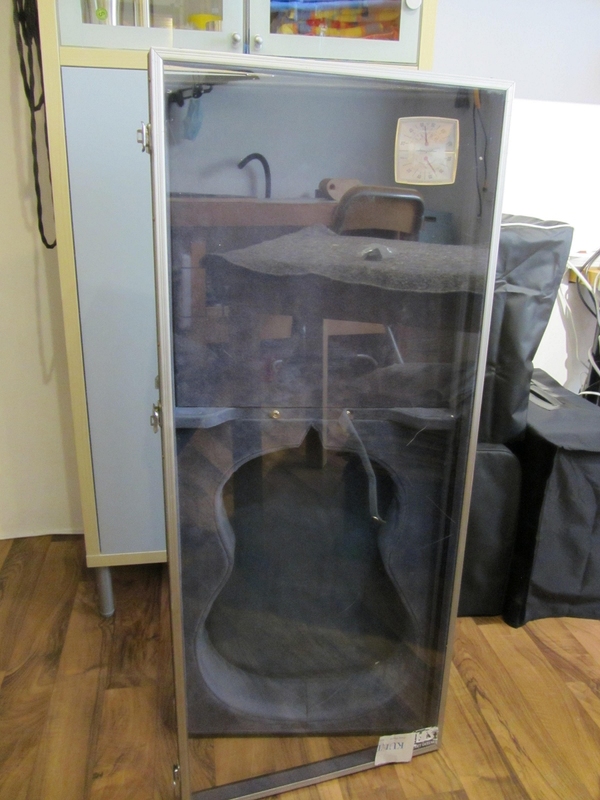 The pane is out of tinted acrylic glass that shows some scratches than can be polished out easily. 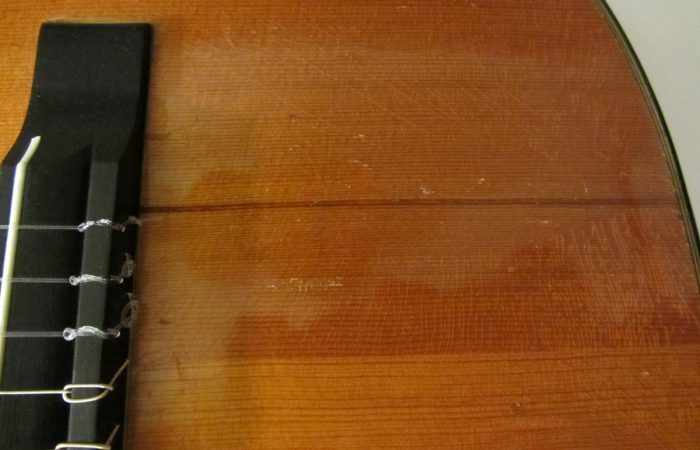 On the right bottom of the pane are the leftovers of a sticker that can also be removed easily with some alcohol. 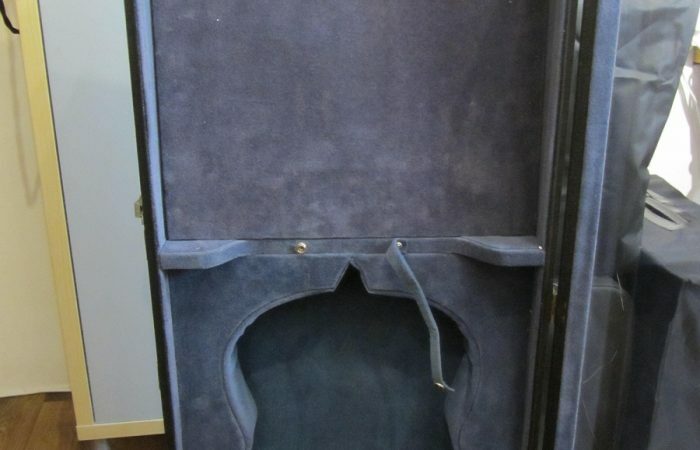 The outside of the case is covered with a black textured vinyl and shows only light wear. 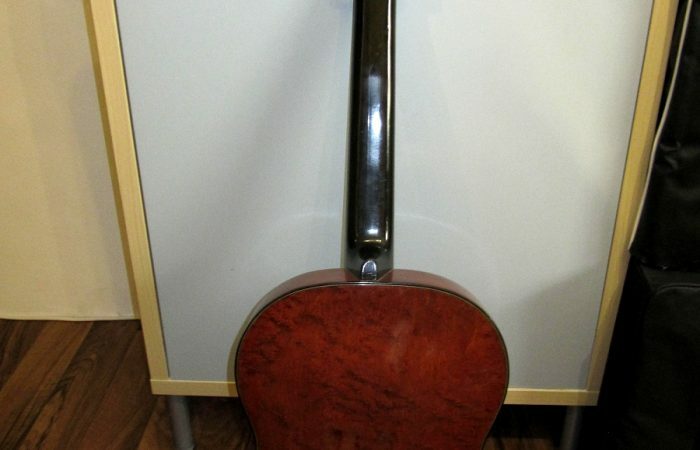 The guitar shown on the pics is NOT included and only for demonstration !